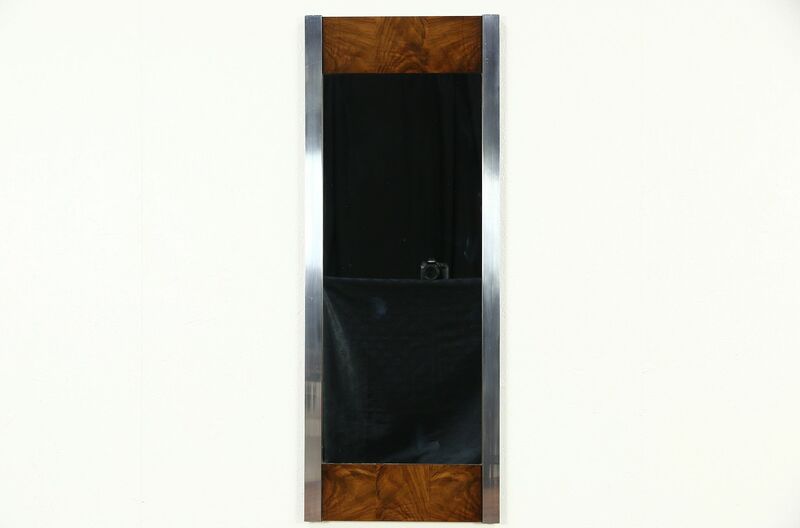 A Midcentury Modern wall mirror in matched walnut with polished aluminum mounts dates from around 1970, and can be hung either direction. The finish is in very good condition with minor scratches on this unsigned American made vintage furniture. Measurements are 18 1/2" x 48" and 1" deep.